This course is generally taught by 2-3 Instructors. We offer the 4 hour NYS Pistol Safety Course. This covers all the requirements for your pistol safety course in New York State. Basic identification of firearms, parts, ammunition, safe handling, storage and cleaning as well as the Article 35 “Use of Force” are taught. Our course is approved for Onondaga, Oswego, Oneida, Jefferson, Cortland and Madison Counties. 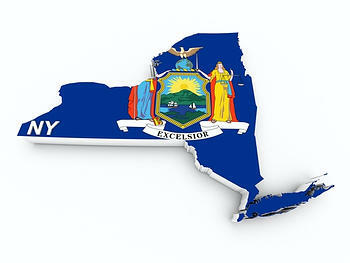 Your pistol license in not good in all areas of NY, you need to know where you can go. Stores that have “no-gun” policies do not carry the weight of law in NY. Store policy does not supersede State Law however they may ask you to leave. You may carry there however if asked to leave you must. Your NYS License is good in approx. 22 states and is an unrestricted license anywhere else you travel to. Check the laws as many states have open and conceal carry both and you must follow the law in those states. If you receive a sportsman license you may reapply for an unrestricted and we suggest doing so (add other courses to your resume before doing so). You must carry your license at all times and Onondaga County Law Enforcement is aware that you have a pistol license as it is attached to your driver’s license. As of January 7, 2014, states that honor your NYS Pistol License. Always verify your travel routes and the validity of your current License; AK, AL, AR, AZ, IA, ID, IN, KS, KY, MI, MO, MS, MT, NC, OK, SD, TN, TX, UT, VT, WI. Cost for this course is $50.00.